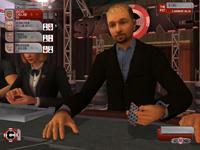 "What's with Canada and the 6-handed NL event? Daniel and Gavin sitting next to each other like Bob and Doug Mackensie, with a mountain of chips, eh?" As of posting this, Daniel hadn't updated his video diary yet. But check it out here, later today, to see what he had to say about the game. On yesterday's video he talked about teaching his wife Laurie to play poker via Stacked, and playing golf with Matt Savage, who shot the round of his life -- four under. It's also apparently clear that Daniel is getting tired of Hold'em. Will he still say that after he wins the short handed event, or will that only prove his point? Let's Cheer on Rafe Furst today! 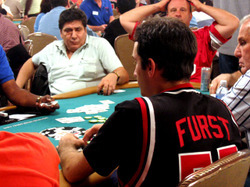 The first bit of poker news I heard this morning when I woke up was that Rafe Furst had made it to the final table. 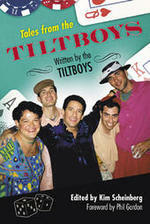 My favorite Tiltboy is third in chips in the $1500 Pot Limit Hold'em event! Three long days of play and his spirits are high. 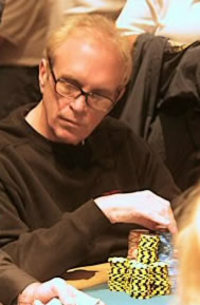 Erick Lynch has a big lead with 455,000 chips. Rocky Enciso and Rafe are neck and neck with 247k and 222k, respectively. I caught up with Rafe this morning, and here's what he had to say at 9am. "I feel very proud -- not because of the way I've played, though I am happy with my play so far. I feel proud because the amount of support and well-wishes from everyone and how heartfelt it is would lead one to believe if they didn't know better that I am at the final table of the Main Event. It's the kind of intangible that translates to a tangible edge at the table. Thank you all, I'll do my best to return the favor by wining the bracelet." -- Rafe. Rafe is the most appreciate person I know. And I like to see that he is catching cards. Poker Wire related the play when Rafe's QQ flopped a set against Lynch's A7. Rafe had pushed all in with 50k preflop. Did he win the pot? Poker Wire tells what happened to the rest of the hand here. But he's not only thankful for the blessings in his life. He also gives back. Rafe's MySpace blog is a steady stream of poker advice. Recently he's talked about playing bottom two pair, and talking to poker players that are thinking of going pro. Bottom line, he's a great guy, and always willing to help others. If you want to support Rafe, wish him well today, and contribute to his charity, Put a Bad Beat on Cancer. Go get 'em, Rafe! I'll see you there! !